Dan Martin (UAE Team Emirates) has won the sixth stage of the Tour de France. The Irishman was the strongest at the first uphill final of the race. The sixth stage of the French race was 181 kilometres long between Brest and Mur de Bretagne Guerledan and featured two ascents to the iconic Mur, including the first uphill finish of the current edition. Laurent Pichon (Fortuneo-Samsic), Damien Gaudin, Fabien Grellier (Direct Energie), Anthony Turgis and Dion Smith (Wanty-Groupe Gobert) formed the escape of the day in the first kilometres. This group took an advantage of more than seven minutes over the pack. With a bit more than 100 kilometres to go, the wind hit the pack and forced the creation of echelons that created splits. 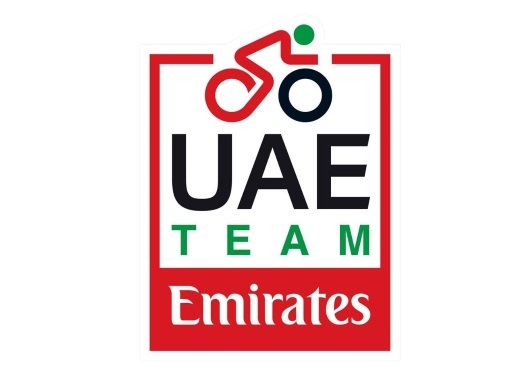 While Movistar's work managed to bring riders like Nairo Quintana, Jakob Fuglsang (Astana) and Dan Martin (UAE Team Emirates), another pack that included Primoz Roglic (LottoNL-Jumbo) was left behind. With around 70 kilometres remaining, the hard work of LottoNL-Jumbo paid off and the two groups rejoined. For the next kilometres, everything ran smooth and calm in the peloton, with the exception of a crash of Roglic from which he recovered straight away. Gaudin attacked from the front group with 35 kilometres to go but was later rejoined by the other escapees. With 27 kilometres to go, there was a crash in the peloton that affected riders like Yves Lampaert (Quick-Step Floors), Fuglsang and Rudy Molard (Groupama-FDJ), but without serious aftermath. At the first ascent to the Mur de Bretagne, Grellier attacked and left the other escapees to be caught by a motivated peloton pulled by Team Sky. The Frenchman was reeled back in at 17 kilometres from the end just as Toms Skujins (Trek Segafredo) accelerated to get the KOM points to keep the Polka Dot Jersey for another day. Mitchelton-Scott's Jack Bauer crowned the climb second and continued on his own, building a gap of more than 20 seconds with the pack. With six kilometres remaining, Tom Dumoulin (Sunweb) suffered a mechanical and had to chase the peloton to try to limit the time losses. A couple of kilometres later, Romain Bardet (AG2R La Mondiale) also punctured. In front, Team Sky set a higher rhythm to gain an advantage over the men that stayed behind. With one kilometre to go, Dan Martin attacked and took an advantage that was enough for him to cross the finish line on his own. Pierre Latour (AG2R La Mondiale) was second and Alejandro Valverde (Movistar) was third. Julian Alaphilippe (Quick-Step Floors) and Rafal Majka (Bora-hasgrohe) completed the top five of the day. Greg Van Avermaet keeps the GC lead while Tom Dumoulin dropped out of the top 10 following his time loss.